Bored of buying bread bins? Friends with the couple who has everything? 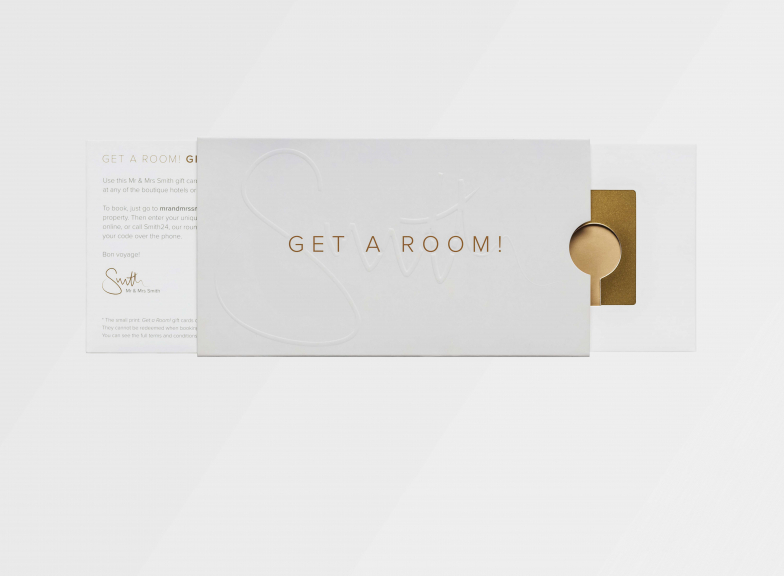 Let us give you some wedding-winning gift inspiration: our white and gold Get a Room! gift card. It will give the happy couple access to more than 1,000 of the world's best boutique hotels (that's the anniversary trip taken care of, then!) and comes in stylish pop-out packaging. All they'll need to do is enter the card number when booking online, or call Smith24 and we'll do the rest. 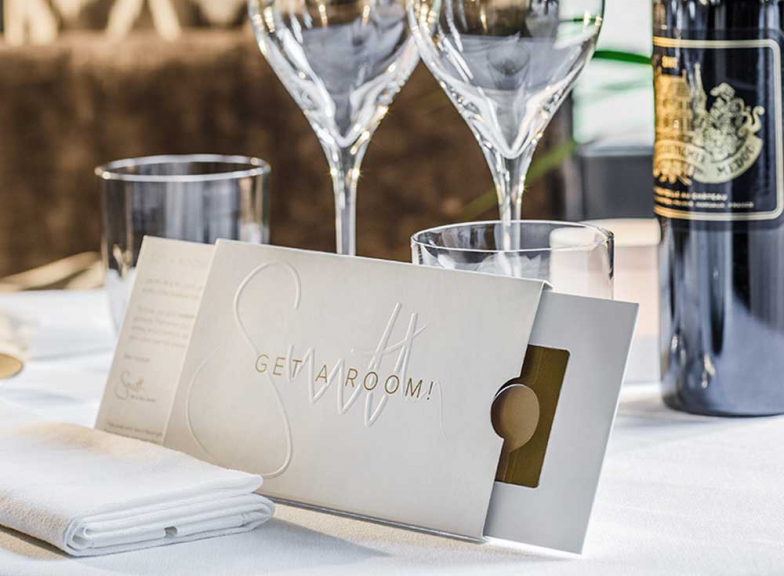 Gift cards are non-refundable and valid for bookings made within 12 months of purchase. 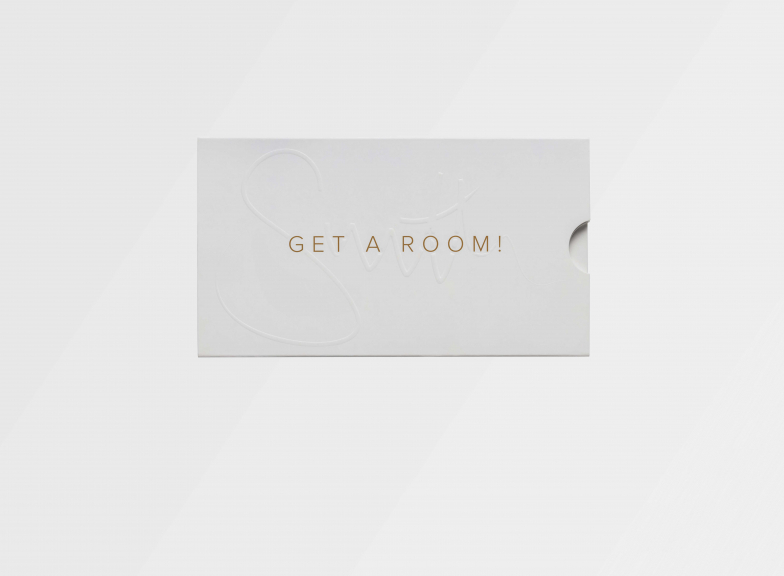 Memberships, gift cards and The World’s Sexiest Bedrooms Free shipping and handling. US and Canadian orders delivered within 10 working days via FedEx Ground. Ultimate travel-lover's gift box A delivery fee applies for the ultimate travel-lover's gift boxes which ship from the UK. Please allow 14 working days for delivery. Express delivery (available for gift cards and book only) ensures next-day delivery if you order before 12pm (EST), otherwise it's the following working day. Processing of orders received on weekends and holidays will begin on the next working day. Looking to reward your clients or employees?